With electric vehicles starting to be taken seriously, Rob Marshall visits a long-established garage, which views going down the electric avenue as more of an opportunity than a threat. 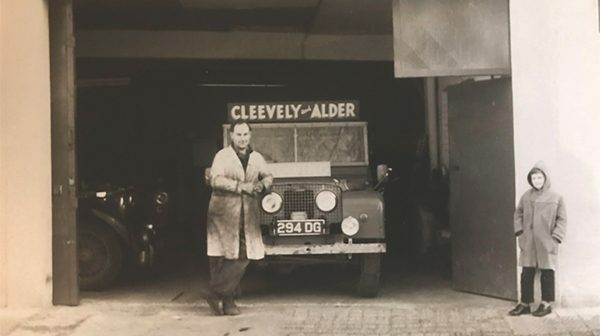 Matt’s grandfather, John, established Cleevely Motors in the early 1960s and Matt is the third-generation family member looking to ensure that the business does not stand still. Regardless of how sceptical you might be about the whole-life environmental soundness of the Electric Vehicle (EV), we will be seeing more of them. Carmakers are falling over each other to develop not only Plug-In Hybrids but also pure EVs that are viable for day-to-day use and a growing number of both retail and commercial car buyers are starting to take heed, especially when the carrots of lower operating costs and tax breaks are dangled in front of them by governments. 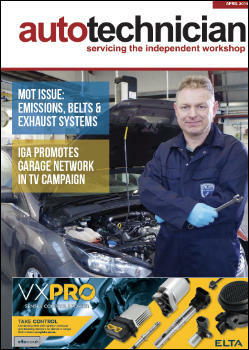 Yet, with many independent garages refusing to touch even basic hybrid cars, the first production versions of which appeared eighteen years ago, it can be argued that certain parts of the aftermarket repair sector is falling even further behind the quickening pace of technological change. After building both his qualifications and experience at an independent workshop in Dorset, Matt Cleevely returned to his native Cheltenham, in the late nineties, to join the family business that was established by his grandfather in 1962. While the business had expanded gradually over the years, Matt realised that keeping-up with modern car technology was the future. 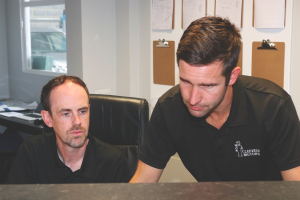 Despite the sceptical views of his family, Matt’s risk of investing heavily in diagnostic equipment paid off and Cleevely Motors developed an enviable repute in its area as being the go-to place for diagnostics, even among other local independents. The situation gave Matt the added advantage of honing his experience with electronics especially, which led to him qualifying as an IMI Master Technician, but changes in the business meant that his work became less hands-on and the necessary management roles, associated with running a successful enterprise, started to overwhelm him. Matt Cleevely, pictured right, established Cleevely Electric Vehicles with fellow Director, David Smith (pictured left) with the aim of offering customers more than EV repairs. Meanwhile, the original Cleevely Motors’ site was restricting its potential. 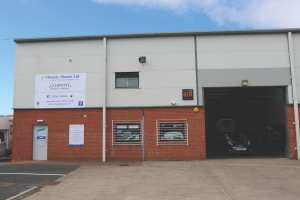 Prompted by a two-weeks’-long customer waiting list and the annual outsourcing of over 900 MOT Tests, Matt sought and rented additional premises that could accommodate a modern MOT lane and several new ramps. Additionally, Matt’s ownership experience highlighted that, while he sensed a viable opportunity, the current model of car service, repair and maintenance would not sustain a profitable business. A fresh approach would be needed, which Matt calls, ‘The Journey’. The current site has expanded into neighbouring buildings over the years and remains extremely busy but could not grow further. 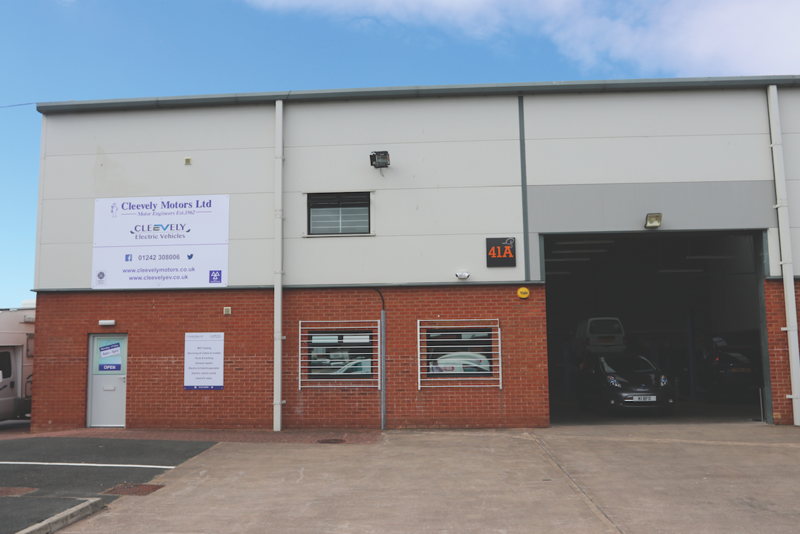 A new site, on a nearby industrial estate, provides additional workspace and MOT Test facilities, as well as being a home for Cleevely Electric Vehicles. Based on his disappointing initial purchasing experience with the LEAF, Matt’s strategy guides customers through an EV lifestyle and he is available to offer personal support at each stage. Starting with advising, through to renting, selling and, ultimately, maintaining/repairing the vehicle, Matt’s aim is to support new EV customers but not alienate any existing clientele. He emphasises, however, that the basic philosophy from his grandfather’s business ethos must remain core, communicating face-to-face with the customer and offering unbiased advice, which Matt views as being even more valuable now with EVs, where the lack of independent and credible information is a real barrier. 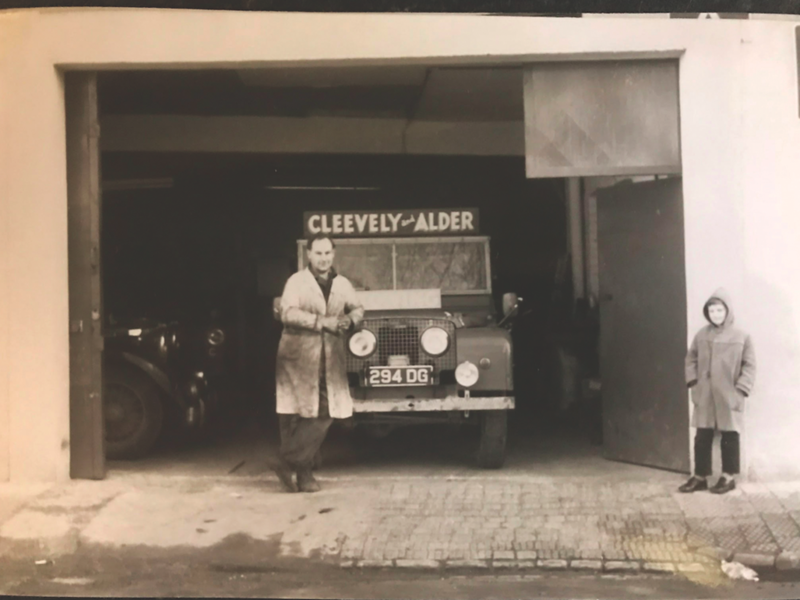 Bringing friends and professional marketers, David and Samantha Smith, on board as co-directors, a new sister company, Cleevely Electric Vehicles, was established in January 2018, which moved into its new premises on June 18th. 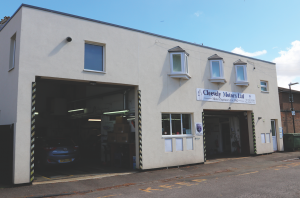 Within a month, the workshop and customer reception were both functional, with MOT Tests and repairs of traditional cars occupying half of the workshop space, thereby alleviating pressure from the old site, situated just one mile away. While Matt admits that internal combustion repairs will subsidise the EV side of the new business until EV volumes grow, rentals remain especially buoyant. Thanks to a partnership with a Tesla hire company, the ultimate electric car, a Model S P75D, is a permanent resident at the new site, which Matt uses to enable potential customers to experience the positive ownership proposition for themselves. Cleevely Electric Vehicles’ journey may have just begun but the word is spreading. For repairs, Matt reports that he has had several customers already that have travelled a considerable distance to Cheltenham for assistance, such as the owner of a 10 years-old Honda Civic IMA hybrid that drove across from Nottingham. Additionally, during our visit, a local company enquired about electrifying its entire van fleet. While pure electric may not be replacing petrol and diesel vehicles, at least in the medium term, we shall all be seeing more of them. CONTACT: CLEEVELY ELECTRIC VEHICLES, 41a Lansdown Industrial Estate, Cheltenham, GL51 8PS.